- Crash through everything - Cutting edge physics and effects combine to bring direct destruction like you've never seen before. Unleash your rage to obliterate everything in your way and carve your own path. - Race in urban environments - Shatter Bay lives by its own rules and is ripe for being torn apart by the overpowered vehicles rampaging through its many areas, including the commercial zone, refinery, port, and high-rise construction site. 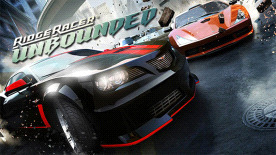 - New breed of racing machines - Traditional racing machines are out and dozens of badass street machines are in, including the legendary RIDGE RACER Angel and Devil cars.